2019 Binc Survey: We Want to Hear from You! The 2019 Survey Binc will be open from March 25th through April 6th. Bookseller feedback is being sought for the 2019 Binc Survey. Bookseller input is important to the organization and will help the Binc Foundation better serve booksellers across the nation. The survey should take less than 10 minutes to complete. Participants have the option to be entered to win a $200 gift card to the bookstore of their choice or one of four (4) $50 American Express Gift Cards, To be entered, they must submit their email address. Binc will not contact people for any other reason other than to let them know if they've won (unless you give your permission to be added to our mailing list). Binc will never share information with an outside organization. 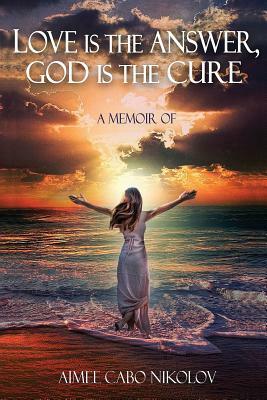 In order to introduce the new edition their lead title, Love is the Answer, God is the Cure by Aimee Cabo Nikolov, to independent bookstores, Inspiriational Books Publishing seeks to support booksellers via the Book Industry Charitable Foundation in addition to inspiring readers with this powerful memoir. For every copy of Aimee Cabo Nikolov's book sold until 5/30/2019 Inspirational Books Publishing will donate $5 to Binc, the safety net for booksellers. Nikolov's memoir offers an important message of hope and resilience for reader, recounting how the author overcame great adversity to ultimately live a fulfilling life. 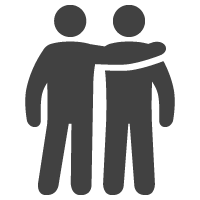 Ann Arbor, MI ­– March 18, 2019 – The Binc Foundation announces their bookstore disaster relief program, which was piloted in 2017 and 2018, is now a regular program and is no longer being tested as a pilot. The Binc Foundation board made up of passionate book people, including publishers, booksellers, and Borders’ Alumni, voted at their February board meeting to make Binc’s bookstore disaster relief a program offering going forward. The goal of the bookstore disaster relief program is to provide assistance to bookstores so they can return to normal operations as quickly as possible following a natural disaster. Binc can now help bookstores pay essential expenses if they have sustained a financial hardship due to disaster. Rent, utilities, certain repairs, and storage of non-damaged furnishings, while repairs are completed, can all be considered for assistance. In 2017—through the generosity of Binc’s donors—Binc was able to assist six bookstores in disaster recovery from hurricane, wildfire, and flood. In 2018 Binc assisted five bookstores with recovery assistance for hurricanes, wildfires, and flood. Binc has given over $76,000 in disaster recovery assistance to bookstores since 2017. As the frequency of natural disasters increase (since 1970, the number of disasters worldwide has more than quadrupled to around 400 a year), the Binc board decided it was time to add this vital program to its assistance options. “We believe that the number of bookstores needing this assistance is only going to increase in the coming years. Our bookstore disaster recovery assistance has proven to help booksellers and their communities move forward after a natural disaster, so by changing the bookstore disaster recovery assistance from a pilot to a regular program, we are preparing for the future,” said Binc Executive Director, Pam French. “Weather-Related Disasters Are Increasing.” The Economist, The Economist Newspaper, 29 Aug. 2017, www.economist.com/graphic-detail/2017/08/29/weather-related-disasters-are-increasing. The Binc Foundation’s annual scholarship program is now open for applications. Applications will be accepted through March 5th, 2019. The 2019 scholarship program has been revised to support booksellers’ dependents, spouses, and partners in pursuing their higher education goals. Binc will award seven (7) $3,500 scholarships to the dependents of booksellers and one (1) Karl Pohrt Tribute Scholarship award of $5,000 will be granted to an independent bookseller who has overcome learning adversity or is a non-traditional student. The Book Industry Charitable Foundation (Binc) Scholarship Program seeks to make a lasting impact in book store employees’ lives and former Borders Group employees’ lives by offering scholarships to their dependents and spouses/partners based on financial need, academic performance, and community involvement – helping to make a college education more affordable for booksellers' families. Scholarships are offered for full- or part-time study at an accredited institution of the student’s choice. This revised scholarship program reflects a change in eligibility requirements from previous years (booksellers themselves are now only eligible for the Karl Pohrt Memorial Scholarship). This change in eligibility realigns the program with Binc’s mission to strengthen the book industry and support career booksellers and their families. Now, only booksellers' dependents and spouses/partners are eligible for the (7) seven higher education scholarships. The bookseller themselves must be currently employed at a brick and mortar bookstore and have been employed there for at least 90 days for their family members to be eligible for a higher education scholarship. Changes were made to the scholarship program this year to more closely align the program with Binc’s mission to strengthen the book industry. Binc hopes to support career booksellers by making college education more affordable for their families. Booksellers wishing to expand their education – and stay in the industry – may apply for a variety of Professional Development Scholarships. Applications are currently being accepted for the newly launched Denver Publishing Institute and applications will open later this year for the second annual Carla Gray Memorial Scholarship for Emerging Bookseller-Activists. The Professional Development Scholarship opportunities Binc offers are expanding and growing. More scholarship opportunities will be announced later this year. Since 2001, the Binc Foundation has supported the educational goals of over 680 students, awarding $1.9 million dollars in higher education scholarships. Now in its eighteenth year, the scholarship program is focusing on making a positive impact in the lives of bookstore employees and their families. Scholarship America (Scholarship Management Services) will manage the 2019 scholarship program. The evaluation process will utilize selection criteria including financial need, prior academic achievement and leadership capabilities (including participation in school and community activities) as well as work experience, a statement of career and educational goals and objectives, and unusual personal or family circumstances. Booksellers can find out more details and apply at https://www.scholarsapply.org/binc. Applications are due by March 5th, 2019. Are you a bookseller or store owner that has been affected by Hurricane Florence or Michael? Remember that Binc is here for you. Email us at help@bincfoundation.org or call 866-733-9064. Help your store meet the challenge with this checklist. The consequences and difficulties that result from a major hurricane don't always take the form of property damage, and stores and their employees do not need to have suffered physical damage to qualify for assistance. The thoughtful owner of a bookstore in North Carolina did all they could to prepare for the recent Hurricane Florence. They put books and merchandise on high shelves and most major physical damage was avoided because of their precautions and preparation before the storm. However, because of this store's location and a customer base which is in a large part tourists, they are struggling to pay their mortgage and utilities because access to their area is currently restricted to emergency and storm clean up crews. Cleanup is likely going to take several months and foot traffic will be limited to nonexistent for weeks to come. 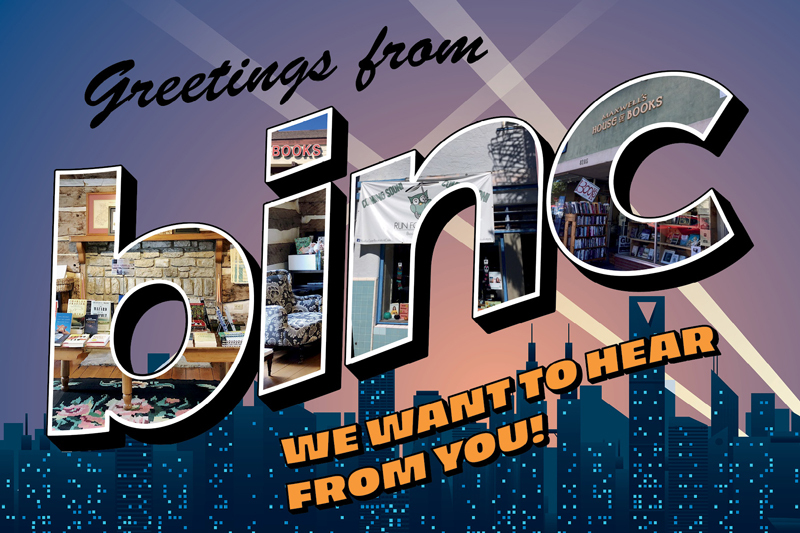 Binc has stepped in to cover mortgage and utilities for a few months, so that when tourists return their favorite local bookstore will still be there – ready to welcome them back. If you or a bookseller you know is facing an unexpected hardship, contact Binc and we will help you navigate available resources. If you'd like to help booksellers facing life's emergencies donate here. We are counting on you to help booksellers and their families. Binc: The Southern Bookselling Community Steps Up! SIBA raised over $3000 for the Book Industry Charitable Foundation at the SIBA Discovery Show last week. 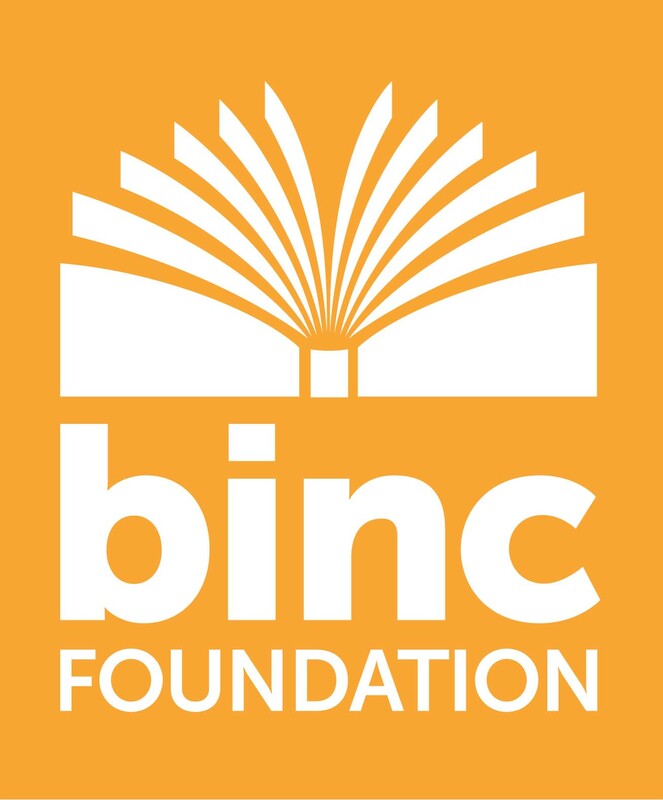 Binc is a charitable foundation that provides assistance to bookstore employees who have a demonstrated financial need arising from severe hardship and/or emergency circumstances. The generosity of show attendees was especially in evidence as Hurricane Florence made landfall on the North Carolina coast, threatening friends and colleagues. "SIBA and her team raised a total of $3,039," said Kathy Bartson of Binc, "thus helping at least one bookseller and family but most likely two booksellers!" The "Heads or Tails" Binc fundraiser has become an established event at the show. A game in which participants buy flashing pins for a chance to win a $500 cash prize, the fundraiser culminates in a fun event on the show floor where everyone who has bought a pin stands, pins blinking, and when the coin is flipped, each person publicly indicates their guess by placing their hands on their “head” (head) or “tail” (backside). Each flip eliminates those who guessed wrong, and they turn off their pin; More pins mean more chances to play and the last person standing wins. SIBA and Binc sold the pins for $20 each, or 2 for $35. Publishers stepped in to play on behalf of their authors and show presenters who couldn't stay for the event but wanted to support Binc and the many booksellers threatened by the storm. 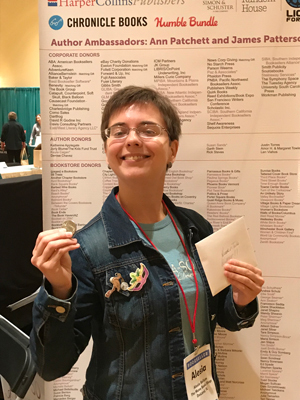 The winner of the #SIBA18 Heads or Tails contest was Alesia Bollum from The Muse Bookshop in Deland Florida. Booksellers can also email to help@bincfoundation.org or call 866-733-9064. In the words of Binc Executive Director Pam French "We are ready to assist." *A personal note from Nicki: I sometimes think people don't take the phrase "we are ready to assist" seriously or literally, but I am here to tell you that when Binc says it, they absolutely mean it. It was no secret at this year's SIBA show that I was feeling worried and a little frantic. Hurricane Florence made landfall...well, right in my front yard, frankly. I live just north of Wilmington, NC, on the coast. Needless to say, I was distracted the entire week, unable to get any news about friends or loved ones, not to mention my friend who housesits for me and takes care of my dogs and cats. (Everyone is fine, by the way, as is my house). The day the hurricane hit, the Binc people emailed me, asking if I needed help and letting SIBA know they were ready to help any bookseller in harm's way. Pam and Kathy were both at the show and checked in with me periodically. And as I made my way home (as of this writing I am still en route, all the roads to Wilmington are closed), Binc called me on the phone just to check in and make sure I knew help was available. In fact, one of the most rewarding things I have done post-show was to help Binc compile a list of our member stores that may have been affected and have staff in need. They are that committed to their mission. Binc is good people, folks. Give if you can. And please, please, ask for help if you need it. 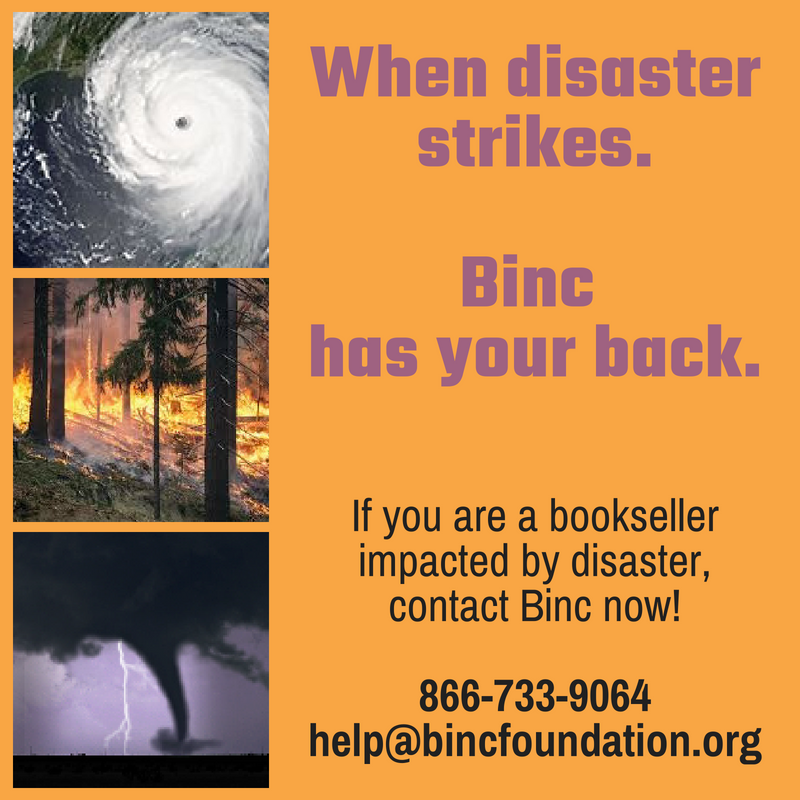 As Natural Disasters Hit Home, We Remind Booksellers that Binc has their Back! Kit Mundus Steinaway, Programs Manager at the Book Industry Charitable Foundation, reached out to booksellers recently with the message, "As Hurricane Lane races toward Hawaii and the wildfires continue to burn in the western states, I wanted to reach out with a reminder. If you hear of a bookseller who has been impacted by any disaster, please encourage them to contact Binc. We can help with relocation, loss of property or loss of household income. We want to do anything we can to help booksellers in the path of nature's fury. If you are a bookseller impacted by a disaster contact Binc for financial assistance 866-733-9064 or help@bincfoundation.org." Want to bid on Alan Gratz's Piggy Banks at Binc's Bank On Booksellers Auction? Better Get Cracklin! Authors, illustrators, and other celebrities from the book industry and beyond have gone the extra mile for the return of #BankOnBooksellers. More than 90 heroes have decorated piggy banks for the auction which will begin on September 9 and ends September 15. Don't miss out on this incredible opportunity to win one-of-a-swine artwork and help booksellers through emergencies at the same time! The auction kicks off at Noon EST on Sept. 9 and will feature a launch party with all of the piggy banks on display from 5 to 7 pm at Literati Bookstore in Ann Arbor. This is a great opportunity to see all of the piggy banks in person and also coincides with the Kerrytown Book Festival! If you can’t make it out to Michigan, no worries! All of the pigs will be posted on the auction website and will be available for bidding until Noon EST on Sept. 15. Contact Binc for more information on the auction and for downloadable cards and flyers to promote the auction to your customers. Beloved bestselling author Alan Gratz (Refugee, Grenade) decorated pigs for the auction and shares with us his very punny experience. He also allowed a sneak peek at his creations. "I had the idea to cover my pigs with pig-pun book titles, like "Sow and the Fury." I had a few good ideas, but the best way to REALLY get a great list of pig books was to crowd-source it! I went on Facebook and invited my friends to give me their best pig-pun book titles, and boy, did they go hog wild. The Snoutsiders. A Tail of Two Piggies. Bright Lights, Big Piggy. Lord of the Swine (or Lard of the Flies, your pick). A Wrinkle in Swine. Catcher in the Sty. Frankenswine. The Pig Sleep. A Sausage to India. A Farewell to Farms. Boar and Peace. Swine and Punishment. As I Lay Frying. Silence of the Hams. The Loin, the Witch, and the Wardrobe. Jurassic Pork. And Hamlet and Pigmalion, of course. I got so many I couldn't hope to use them all. Maybe next year's BINC banks...? I didn't trust my own brushmanship, so I paid a visit to my local craft store. There I acquired letter stickers, paint (for the background), and gloss to paint over them all. I spent a weekend binge-watching BBC mysteries while I painted my pigs and then carefully placed each of the little letter stickers on them with tweezers. When that was done, I coated them twice over with a clear finish, so my sticker-work wouldn't fly away. I'm very happy with the result. They were definitely worth the truffle. I hope they bring home the bacon for BINC!" Bank on Booksellers with Binc! ANN ARBOR – Authors and illustrators are uniting to help booksellers across the country during the return of the Bank on Booksellers Piggy Bank Auction. The auction will take place online with nationwide bidding beginning on Sunday, September 9 and closing at 8:00 pm on Saturday, September 15. In 2016, the team at Parnassus Books came together to create a unique way to support one of their fellow employees who had been diagnosed with a serious illness. The Parnassus employees used their connections to the book industry to recruit a host of celebrity piggy bank decorators for the first Bank on Booksellers. The proceeds were used to help booksellers across the country. “Not every bookseller facing a serious medical situation can get a whole bunch of pigs together to help them out, but every bookseller has the Binc Foundation,” said Parnassus co-owner and Binc Ambassador Ann Patchett. This year, the Book Industry Charitable (Binc) Foundation is hoping to follow up on the 2016 Bank on Booksellers auction. The goal is to raise $25,000, according to Binc Executive Director Pam French. 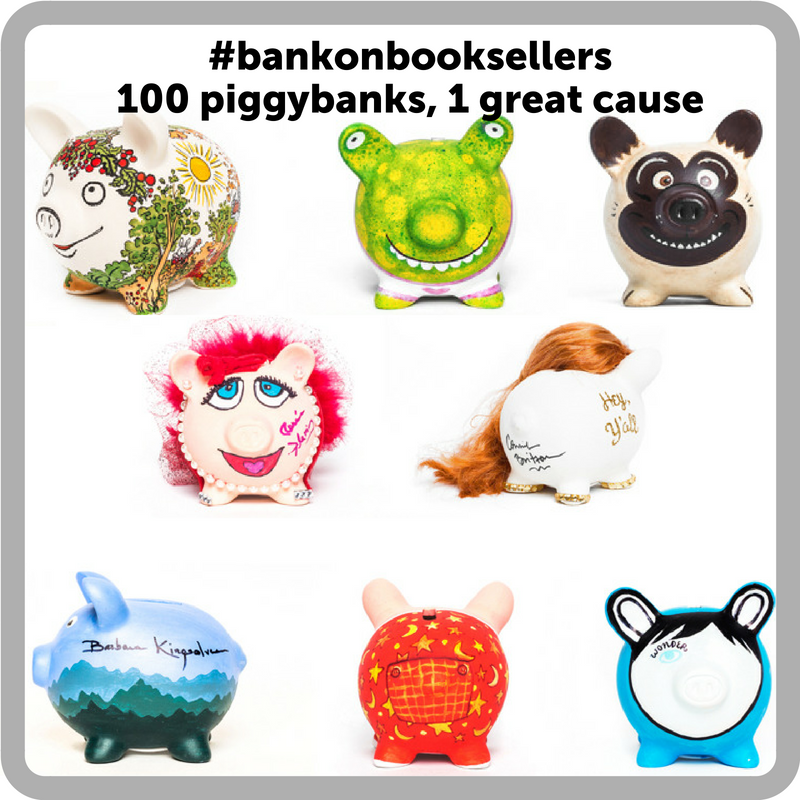 Binc is still looking for celebrities to sign up to decorate a piggy bank which will be auctioned off to support the bookseller’s safety net. Anyone interested in signing up to decorate a pig for the auction or who would like to connect us with an illustrator or celebrity should contact Kathy Bartson at kathy@bincfoundation.org or Deb Leonard at DebLeo10@gmail.com. The Book Industry Charitable Foundation is a 501(c)(3) nonprofit organization that coordinates charitable programs to strengthen the bookselling community. Established in 1996, the core program provides assistance to bookstore employees who have a demonstrated financial need arising from severe hardship and/or emergency circumstances. Since its inception, the organization has provided over $6.5 million in financial assistance and scholarships to more than 7,300 families. Support for the Foundation’s programs and services come from all sectors of the book industry. The Book Industry Charitable Foundation’s mission is to strengthen the bookselling community through charitable programs that support employees and their families. The Foundation was imagined and built by booksellers and proudly continues to be their safety net. It is our vision to be a caring community of book people. Additional information can be found at http://www.bincfoundation.org. Don't Miss Out on These Scholarships to the SIBA Discovery Show! SIBA is committed to helping every bookseller who wishes to attend The Discovery Show find a way to come. Every year financial assistance is made available through the generous support of publishers and organizations who recognize what a vital resource the show is for stores. After all, stronger bookstores mean better sales for their books. This year SIBA has the following financial assistance and scholarship opportunities available. In partnership with the Binc Foundation, The Macmillan Bookseller Professional Development Scholarship aims to encourage a greater number of individuals from underrepresented groups to choose and/or continue careers in bookselling. This scholarship will allow up to one bookseller to attend their regional trade show. Deadline is July 1. Click here to apply for the scholarship. Based on financial need, this scholarship is available for a bookseller who has not been to SIBA in recent years because they have been unable to afford it. Write a letter of need & desire and email to wanda@sibaweb.com. Open to any bookseller, this scholarship allows ten bookstores, each with up to two booksellers, one hotel room for three nights, and two allpass tickets to the meals at the show. Includes up to $300 in travel expenses. Write a letter of need & desire and email to wanda@sibaweb.com. Two scholarships are designated for booksellers who have never attended a SIBA Discovery Show. This scholarship is in keeping with the Penguin Random House’s fifteen-year tradition of supporting educational programming for booksellers at the event. The 2 scholarships will cover up to $1,000 of the winner’s travel, hotel, and meal expenses for the Discovery Show. To be eligible, a bookseller must be a full-time employee of a SIBA-member bookstore, working at any level or capacity. Scholarship winners will be announced before September 1.